Customize your T-rex exactly the way you need it thanks to our large selection of accessoires. Do more with your Rack by adding a dips station, a wall-ball target or even a ring station. Take advantage of our storage accessories by mounting on your Rack some plate storage or sing bar holder. 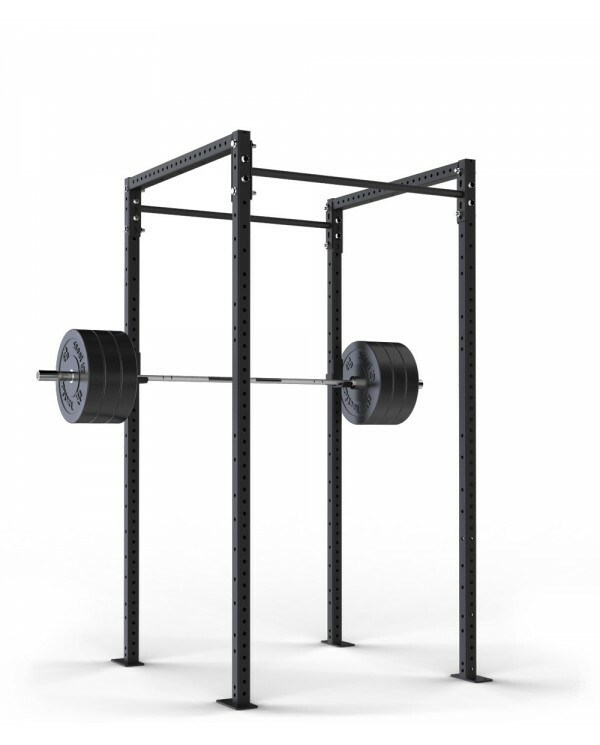 The T-Rex Rack is perfect for all the basic movements that constitute the essences of your training. The two olympic bar supports made him ideal for weight-lifting exercices such as squat, push press or bench press. The T-Rex is also composed of two pull-up bars wich allows two people to train on gymnastic exercices at the same time (pull-ups, toes to bar, muscle-up…).